As one taster put it “Such a tasty whisky!” And another dubbed it “very royal.” It indeed had quite a regal quality – a classy classic whisky. The interplay of a hint of peat with royal sherry reminded us of an aged GlenDronach, yet softer and exceedingly well-rounded. Some of us re-sampled it with a nutella cheesecake or salty sweet cookies dipped in warm chocolate milk… a delightful combination! (from One Street Over). What does the bottle tell us? It was distilled April 2006, bottle January 2015 as a room sample Cask No 2004/2011. 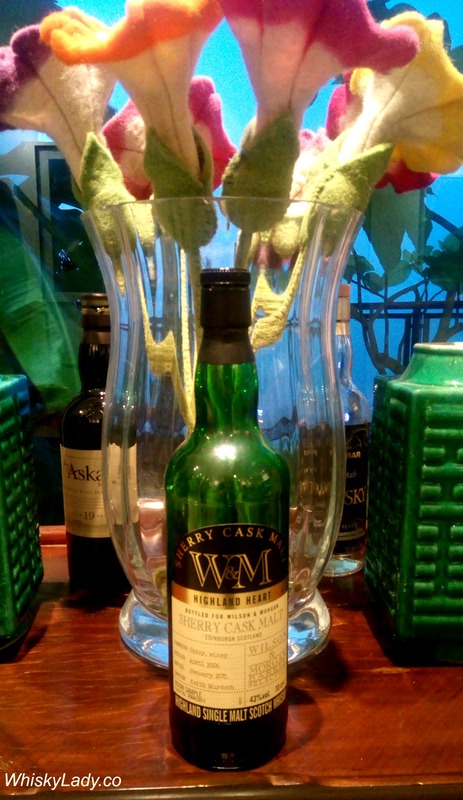 The William & Morgan’s Sherry cask is known to be from the Macallan distillery. When I first sampled it at La Maison du Whisky, I simply fell in love. The nutty quality, the clear stamp of sherry with flirtatious peat… All I could think was – if this is what Macallan can still produce, where has it all gone? Truly a superb whisky. Returning to sherry intensity after the more delicate 2014 release, our young Speysider tries to evoke memories of a beloved legendary whisky from this region that was sold as a 7 years old in Italy and of which we have fond memories. The nose is very winey, almost spicy and slightly astringent, with the fragrance of walnuts. On the palate it retains this lively spiciness, for a pungently peppery character, but it’s well matched by the resinous sweetness of dried fruits (peaches, apricots, plums, sultana raisins) and at the same time it’s kept lean and fresh by a clean mineralogy. It tastes already fully mature thanks to the very active oak casks. Purchased at La Maison du Whisky as part of a whisky ‘speed dating‘ session. 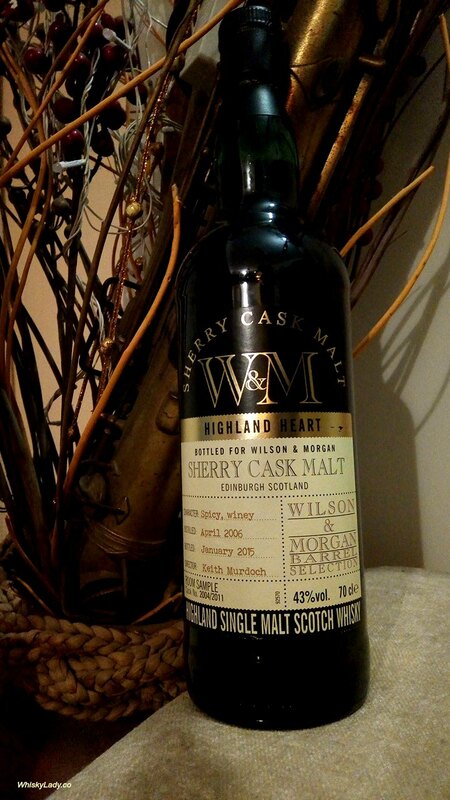 This entry was posted in Highland, Scotland and tagged Macallan, Sherry cask, Undisclosed distillery, Wilson & Morgan by Carissa Hickling. Bookmark the permalink.